New for 2018, this is the official Gresini Racing team hat. Mesh back (aka trucker hat). 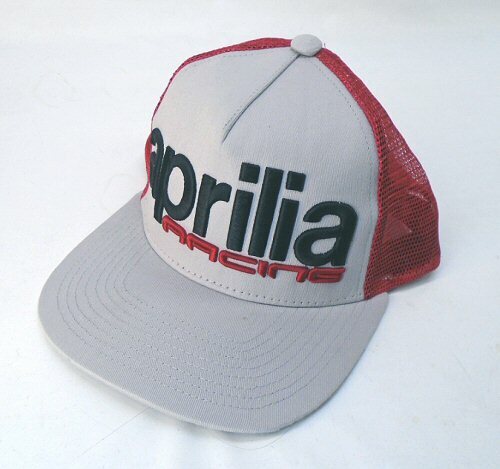 Raised "Aprilia Racing" lettering on the front. Bill is grey on top and bottom.